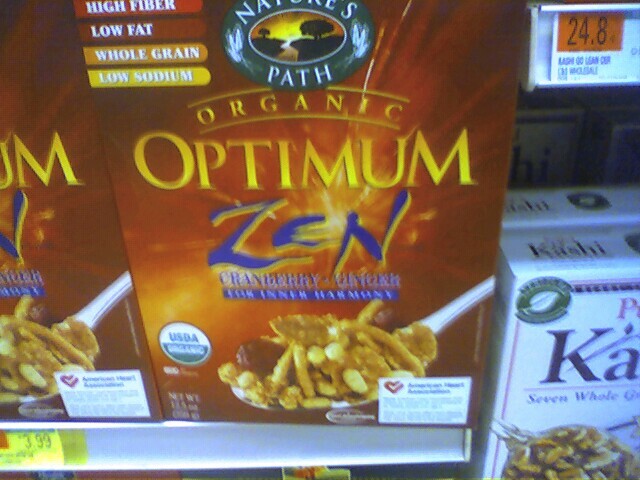 About a month ago someone had told me there was a Zen cereal, but I had to see it to believe it. What is the flavor of Zen? No longer do you have to ponder such a question during hours of meditation. Zen is apparently cranberry and ginger. The only question that remains is do you achieve enlightenment by eating it? When you finish the bowl, you can stick your nose in it and try to become "one with nothing."